A group of students and their supporters join before Engemann Student Health Center at University of Southern California (USC) requesting that ex USC gynecologist George Tyndall, who has been accused of sexual misconduct, brought before Law, in Los Angeles, USA. 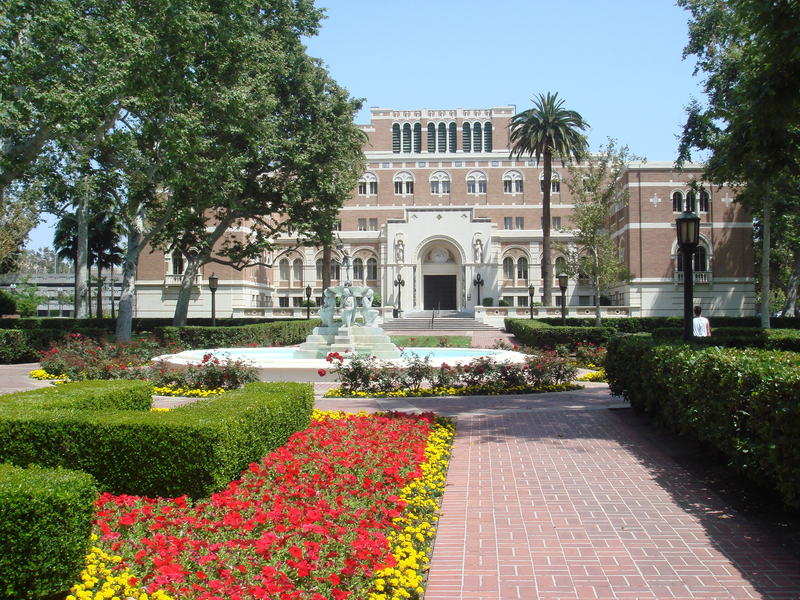 A group of students and their supporters gathered together at the Engemann Student Health Center at University of Southern California (USC), stating that ex USC gynecologist George Tyndall, who has been accused of sexual misconduct, be brought before the Law. The students and their supporters held placards titled "USC KNEW." 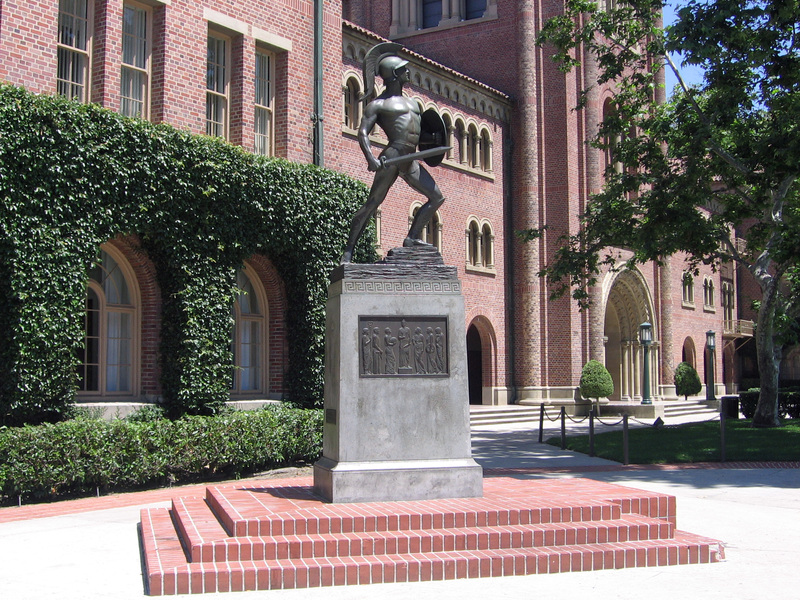 and were shouting "U-S-C Transparency" while marching to the USC's Tommy Trojan statue, a life-size bronze statue of a Trojan warrior, after a short rally at the Health Center. The crowd called for a fair trial and asked the authorities to hold anyone involved in this misconduct responsible for their actions. Over 400 students and alumni contacted USC to address their concerns about the gynecologist when the news was blown. A member of the crowd reported that, they are in this because they want the community to show solidarity to all women who have been abused by the gynecologist and the university that protected him. C.L. Max Nikias, leader of USC, has reported his intention to resign from his position, amid accusations against the gynecologist. Tyndall has been a gynecologist for 27 years in USC. According to LA Times, George Tyndall began his misconduct in the early 90’s and had been receiving investigative complaints. Some of his colleagues feared that his misconduct was targeted to the Chinese students in the school since they often had a limited knowledge of the English language and American medical norms. The march also shed light on some resources that students can refer to, including helping with protecting the legal rights of students from all countries and regions, and ways of dealing with sexual assault and trauma. The 76-year-old lawyer empowers more women to speak up. "We have students of all races, not just in the United States. We are looking for justice for all of them," she said. "You do not have to be a citizen of this country in order to have rights." Chinese students should not be intimidated because of the language and cultural barriers. "Reach out to us or reach out to other attorneys who want to help. And we will assist, we will have translators, we will do everything we can to support you, to assist you, to protect you, and to help you," she said. "Connect with us or contact different lawyers who need to help. Furthermore, we will help, we will have interpreters, we will do all that we can to help you, to help you, to secure you, and to encourage you," she added.